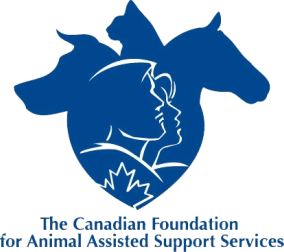 Designating The Canadian Foundation for Animal-Assisted Support Services as your charity of choice will allocate your gifts to meet both immediate and long-term funding needs. We can decide how much will be distributed each year from your Legacy Accounts, or we can work with you to help you make informed decisions as to the disbursement of your gifts. Administration and reporting is seamless. *As a public foundation we are required to allocate at least 3.5% of our total assets per year, toward our charitable programs which includes giving grants to other charities. Leaving a charitable bequest in a will often enables individuals to make a very generous gift to causes that matter to them and their families. There are also significant tax savings that can be realized for the estate. Donations made in both the year of death and under the individual’s will can be claimed in the year of death and, if necessary, carried back to the preceding year. The 100% net income limitation applies to both the year of death and the preceding year. The donation credit also applies to gifts of RRSPs, RRIFs and life insurance proceeds. Partnering with The Canadian Foundation for Animal-Assisted Support Services by naming us as the beneficiary of these legacies will ensure that your gifts will help, not just one charity, but charities across Canada, and those they serve and help. This national fund is needed to empower Canadians with physical, social, and emotional daily living challenges through the human-animal bond. CFAS envisions a robust National Annual Grants Program by 2020 in order to resource charitable programs and activities across Canada.